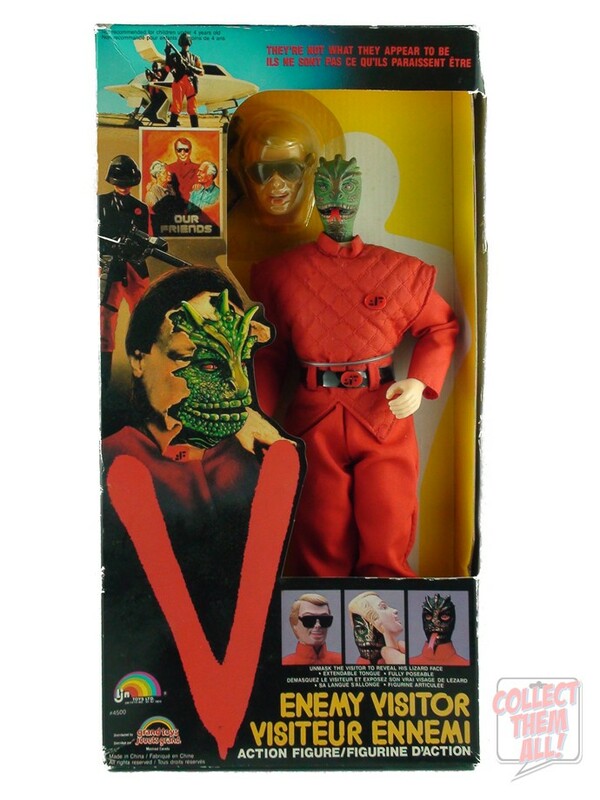 Action figure based on "V" the Mini Series and TV Series that ran from 1983 to 1985. The action figure’s packaging features some great box art that you would expect from the 1980s. The figure stands near 12? tall. Included are a red V uniform, a laser weapon, sunglasses and a human face mask that you can put on hide the lizard head. The figure does have an action feature: you can make the Visitor’s tongue move in and out by using a button on its back.